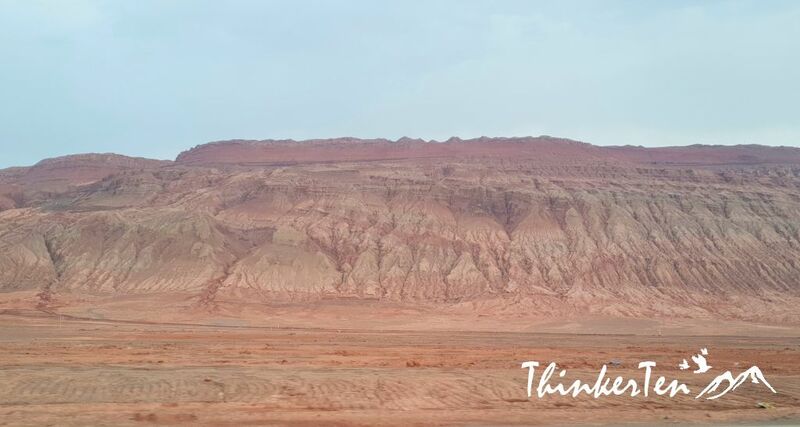 The Flaming Mountains of Turpan are located in the Tian Shan Mountain range in China’s Xinjiang province. 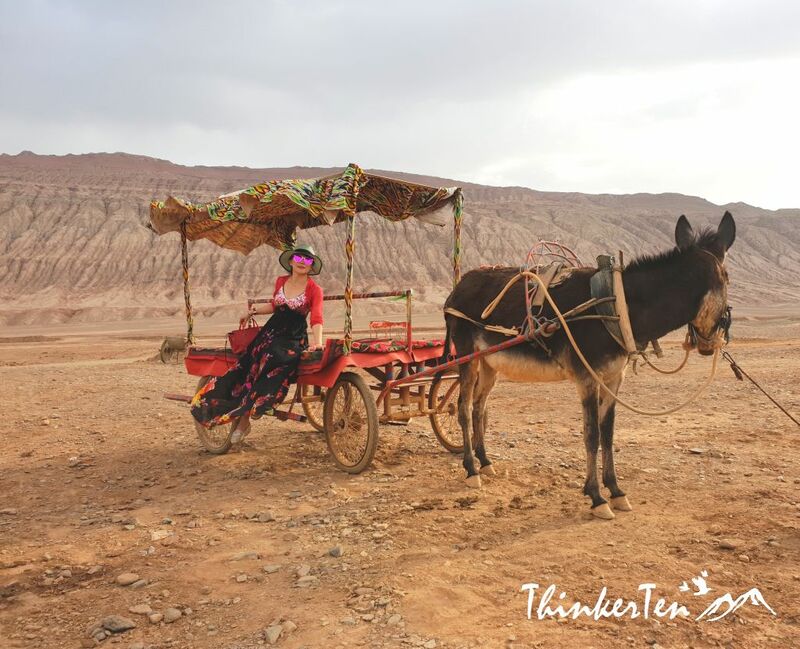 These mountains lie to the east of the city of Turpan, which is located on the northeastern rim of the Taklamakan Desert. 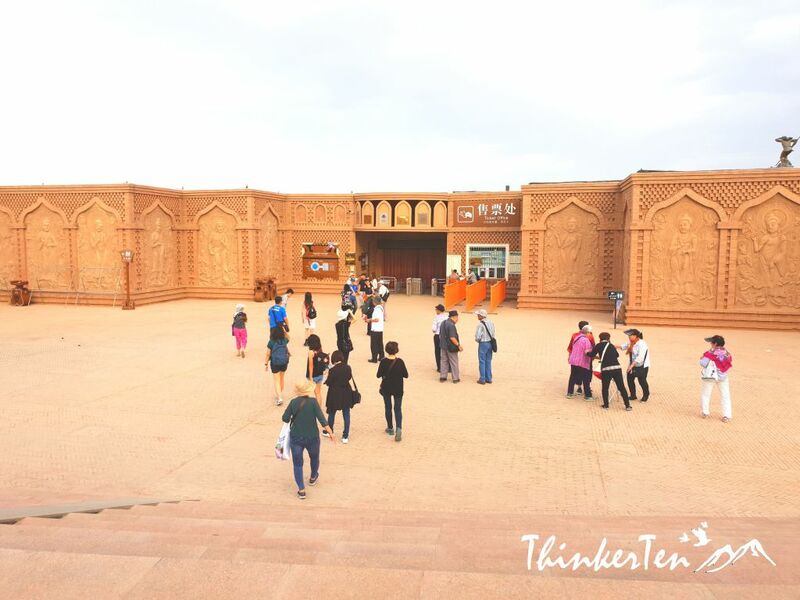 This is one of the most popular tourist attractions in Turpan Xinjiang. Beware of the burn in this area. The Flaming Mountain is famous for it high temperature and the color of the mountain – ‘red” so it is also known as Red Mountain. The temperature can go as high as 80 degree Celsius! 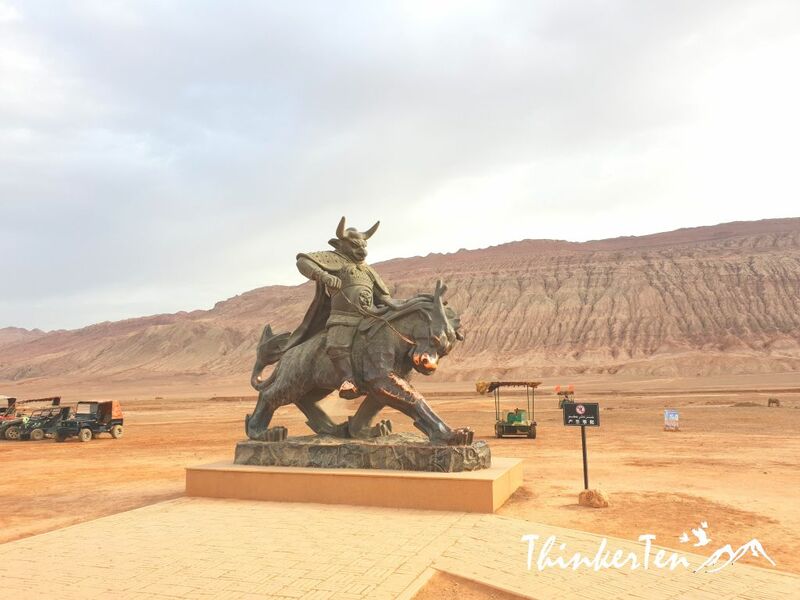 There is a museum in Flaming Mountains, you will see story of “Journey to the West” and all the characters such as Monkey King, Pig and Monk are shown at the wall of the museum. Flaming Mountain is famous for a classical novel named ‘Journey to the West’ by Ming Dynasty writer, Wu Cheng’en that described the experiences and adventures of a Buddhist monk Xuanzang who was accompanied by three apprentices with magical powers traveled to India in 627 CE. In the novel, one of the three apprentices Monkey King stirred up trouble in the Heaven Palace and kicked over one furnace used for making immortality pills making charcoals fell off the sky scattering around the Turpan Basin where the Flaming Hill now situated. 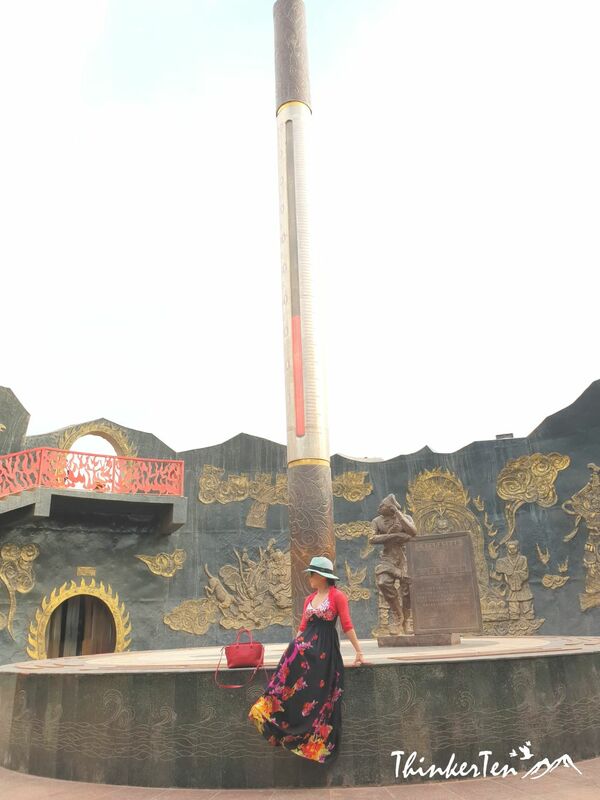 There is a giant thermometer also look like the Monkey King’s Ruyi Jingu Bang can be found in this site, attracting a number of tourists around the world. Once you are out from the museum, you see no birds flying at the top of the Flaming Mountains. It was early morning but I can already feel the intense heat. You could feel the burning sensation when you walked under the sun. There is also not a single plant can be spotted in this area! 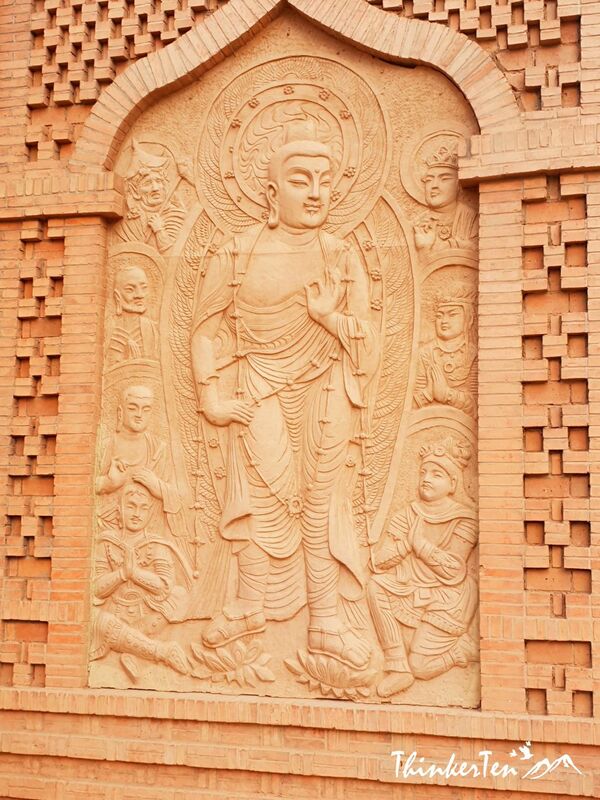 Few bronze statues of Journey to the West, such as Iron Fan Princess, Bull Demon King and Monkey King are found. Excited tourists gathered near these bronze statues, touching them and take pictures. 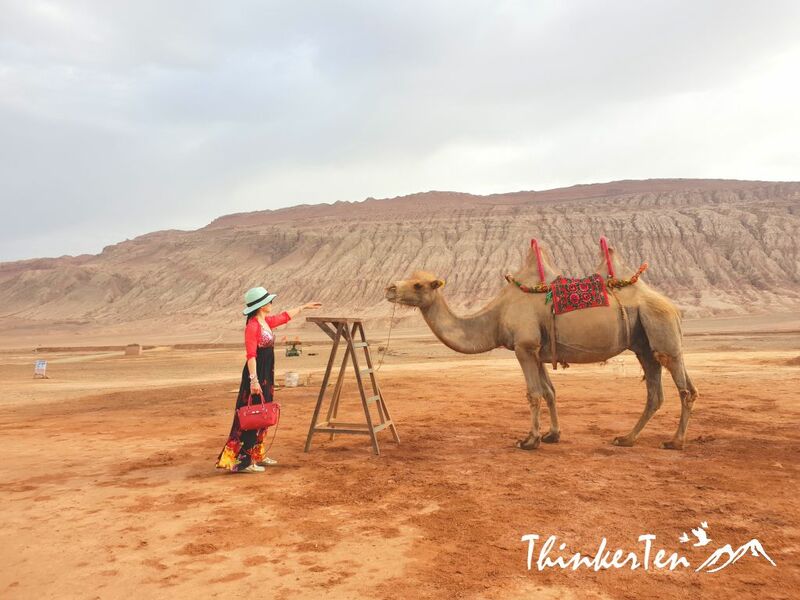 Several tourist traps, such as camel ride, donkey ride & 4 wheels motorcycle ride. 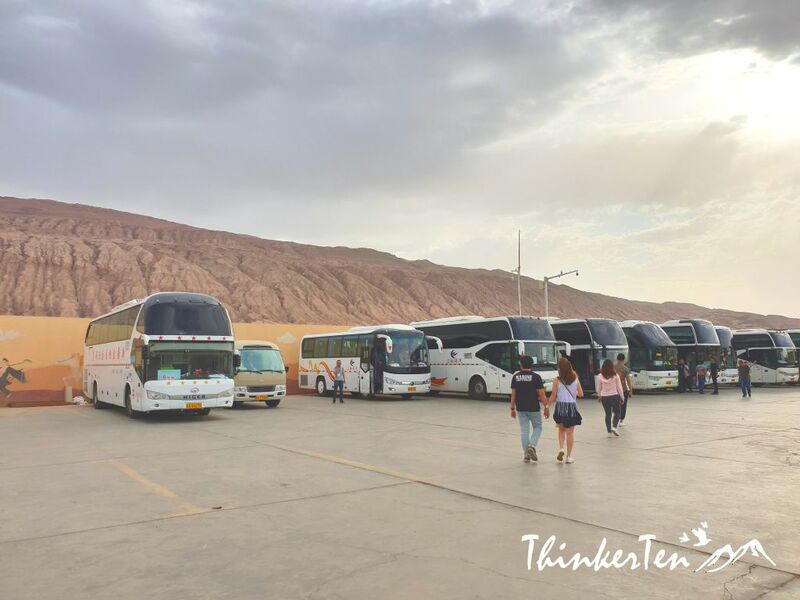 Flaming Mountains Ride is packed with tourists during China public holiday and China school holiday. When the place is crowded, it is very hard to shoot a decent picture. This dog in Flaming Mountains is having a bath! Come here early to avoid the crowd and heat. Another thing to note is avoid public holiday in China. 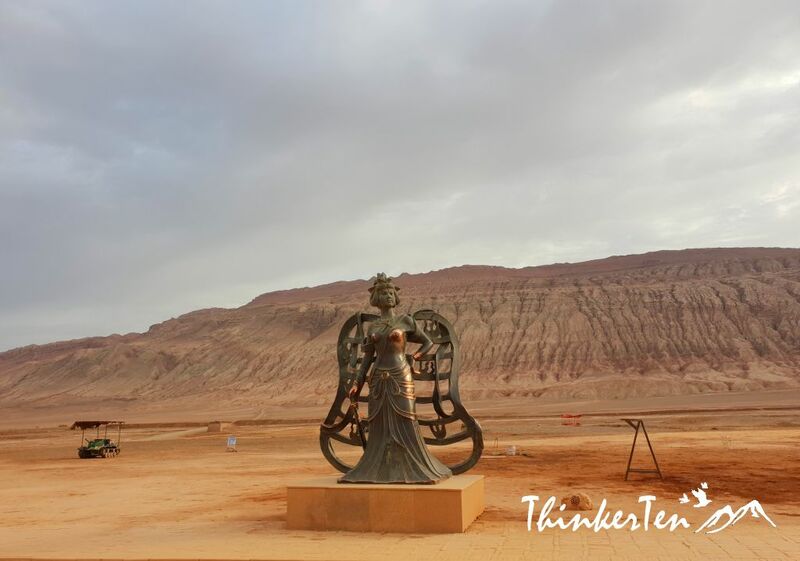 There is not much thing in Flaming Mountains site, the only interesting thing is the world largest thermometer which looks like the Monkey King’s weapon – Ruyi Jingu Bang. The Flaming Mountains look pretty much the same as any other mountains that I have seen in other part of the world. 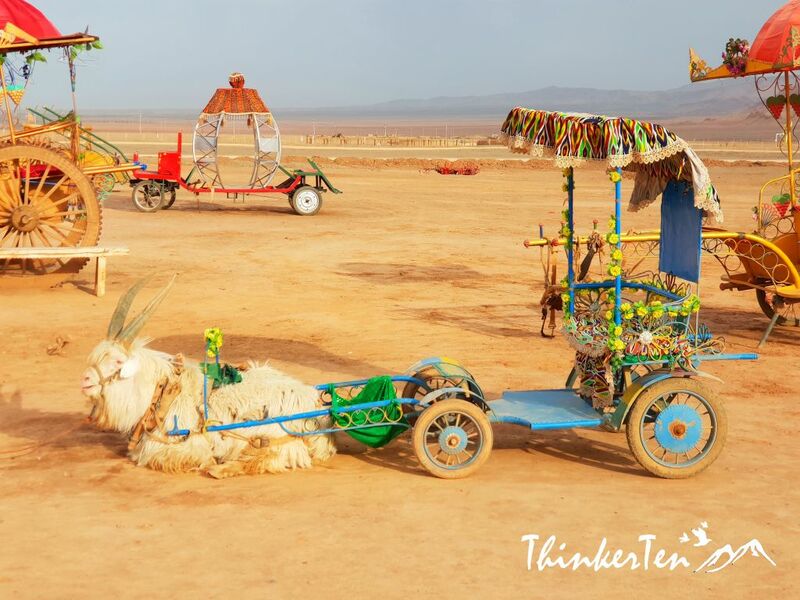 Yes, one thing is different, you do feel the intense heat in Flaming Mountain. After all, this is the largest, driest and hottest desert in China. I was glad to be here to experience the heat for an hour. Do not stay too long and drink plenty of water is my advise to you. What I wouldn’t give to explore this area!!! 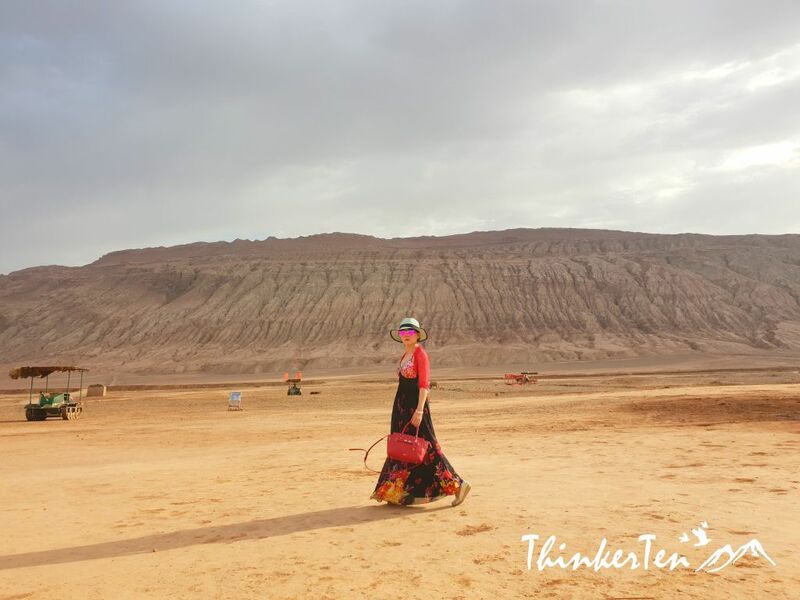 Many Chinese people local or around the world who learn about Journey to the West would be very interested to find out the Flaming Mountain despite the heat. Most came here just to check out how hot is this place! Thanks for your kind comment. Wearing long dress is cooling especially in hot desert like this! Wow! What an amazing place to travel. China really is a big country with a vast culture in their history. China is one of the world’s most fascinating travel destinations, both for a look into its past and for a chance to ponder its future. You take month to explore this vast country. I have been to China for multiple times and I still not have finish exploring this vast land. This is such a great review, I haven’t been to Xinijiang but from the looks is that this is very far from the city. China has a long long history. Flaming Mountains are named because in the evenings the red clay mountains reflect the heat and glow of the desert and seem to burn. Also the heat is quite intense during its peak! it definitely looks like a spectacular place to visit! 80 degrees, I can’t imagine how someone can bear so much heat, wow! It’s amazing for a place that’s in the desert to have mountains. The highest temperature can go as high as 80’c , I know that is pretty insane! I was there in the early morning so the temperature is not as high yet. Glad that you are also a fan of Journey to the West. Then visiting Flaming Mountain would be fun. 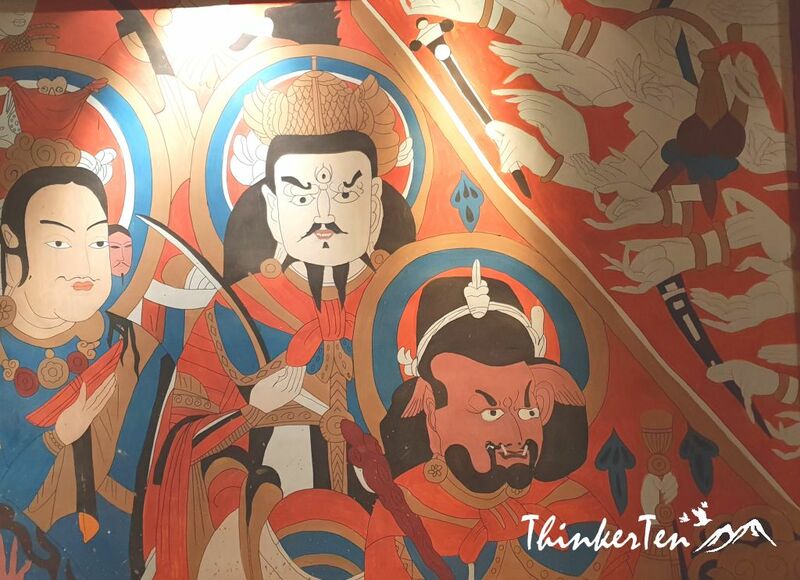 The museum has all the characters and pictures from the famous classic novel, Journey to the West. Wow they look incredible! What an amazing place to visit, thanks for sharing! What a really cool (not really ‘cool’ due to the high temp ) place to visit! I did not even know the Flaming Mountains existed! The temperature can go as high as 80’c at it’s peak during summer. Flaming mountain is well known for its heat! 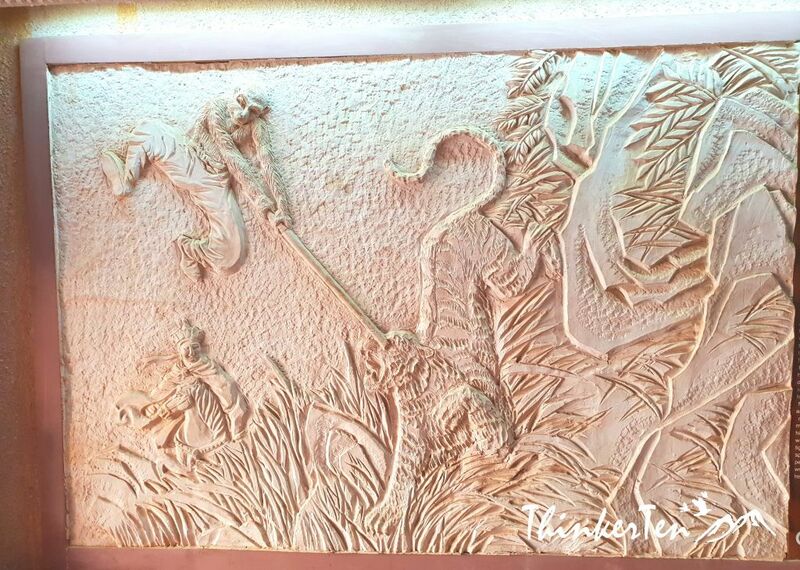 Wow, all those sculptures are beautiful! I would love to get to see these in person! 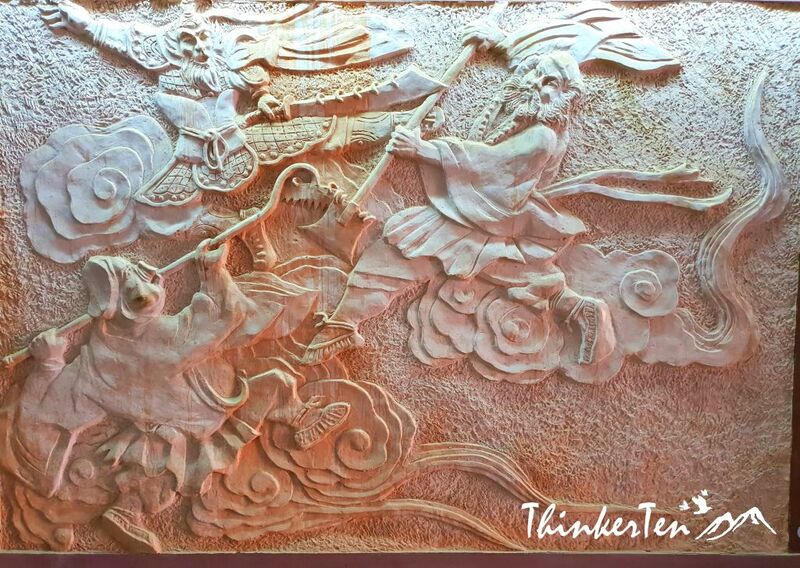 These bronze sculptures are characters from Journey to the West, a classical Chinese novel. I never really thought about going to China before, it looks beautiful though. May need to add it to my want to do list. It looks like an incredible experience to have. China is truly beautiful and it’s great you got to experience it all. Aww the dog was so cute drinking out of the pail. I have to be honest I’d be more apt to fall for the donkey or camel tourist traps than take a picture with the giant thermometer. Haha, I totally agree. The animals in the desert look so cute and tame. 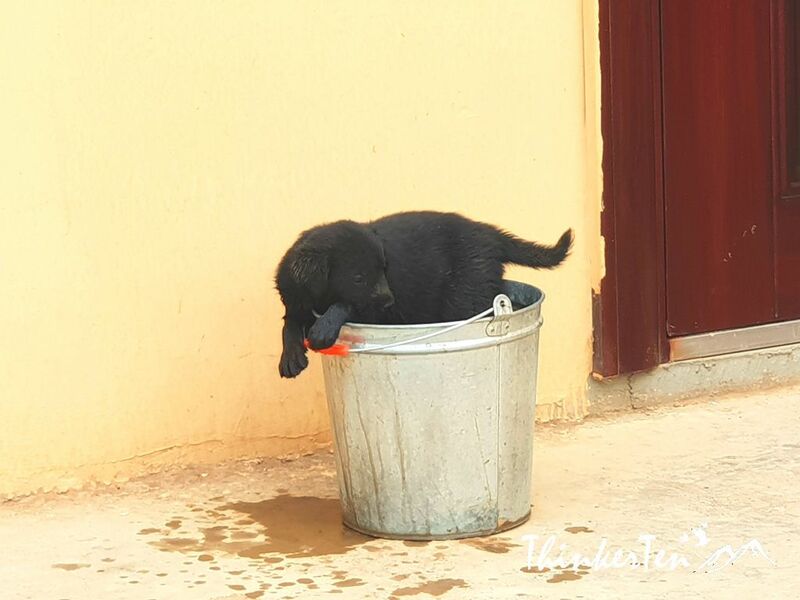 The black dog is chilling at the pail as the heat is just too much to bear. Wow, that looks like an incredible experience! I’ve yet to visit and would love to take the family one day. 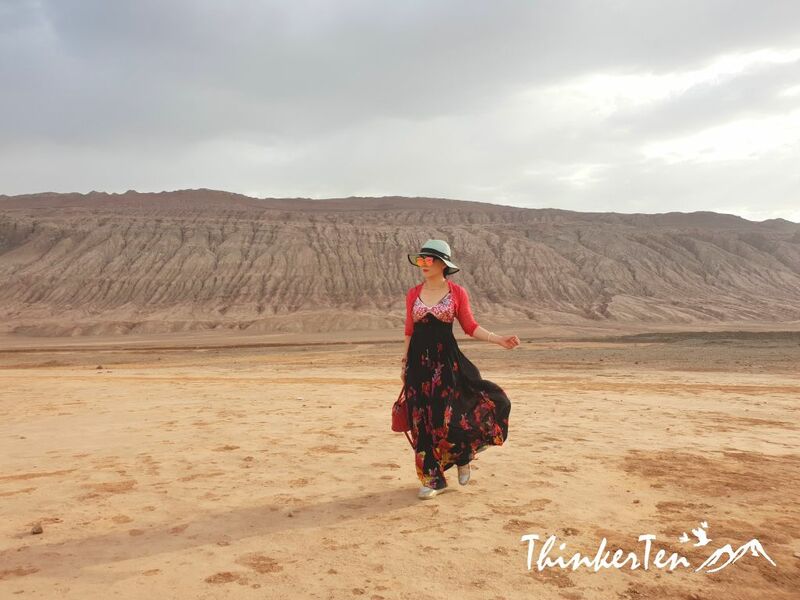 It was an incredible experience, to feel the heat in Flaming mountains. Beware of the heat and come early to avoid crowd and temperature is not at its highest in the morning.